High inflation has been a curse for investors in the past few years, but for some, it has been a boon. Tax rules allow investors to adjust the cost of an asset to inflation during the holding period. The taxpayer has the option to pay a 10% flat tax on the long-term capital gains or pay 20% after indexation. Though the rate is higher, the high inflation has made indexation the better option in the past few years. The taxpayers who have availed of this inflation indexation benefit have been able to reduce their tax to nil. In fact, if you invested in a debt fund or a debt-oriented MIP scheme three years ago and earned annualised returns of 10%, your tax liability would be zero (see table). "We have aggressively used this provision in the tax laws for our clients during the past 3-4 years," says Delhi-based chartered accountant Surya Bhatia. Not all investments are eligible for the indexation benefit. Only certain capital assets, including debt funds, FMPs, debt-oriented hybrid funds and gold ETFs, make the cut. Stocks, equity funds and equityoriented hybrid schemes don't get this benefit as long-term gains from these are already tax-free. Bank deposits and bonds are also out. The interest on bank deposits is fully taxable at the normal rates. This is why Bhavesh Shah (see picture) wants to shift from FDs to debt funds. In the highest tax bracket, 30% tax pares the post-tax yield of his FDs to barely 6.5%. "If my investments can earn 9-10% tax-free, it's an option worth exploring," says the Mumbai-based businessman. A homemaker's work is never finished. From sending kids to school to shopping and managing the household, her day is fully packed. Now, add one more task to this long list—investing to earn tax-free money. This is not as simple as it appears. If you gift money to your wife, there is no tax implication. However, if this money is invested, the taxman will club the earning with your income for the year. The clubbing provision under Section 60 is meant to check tax evasion. If you are taxed on the income, is there any point in investing in your wife's name? Yes, there is. The clubbing happens only at the first level of income. If this money is reinvested and earns an income, it will be treated as your wife's, not yours. "The income from the reinvested income does not attract the clubbing provision," points out Sudhir Kaushik, chartered accountant and co-founder of tax filing portal Taxspanner.com. Here's how you can make this rule work for you. 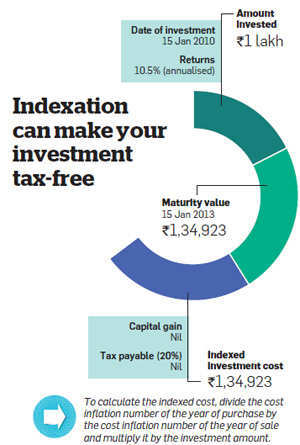 Gift money to your wife and then get her to invest in any of the several tax-free investment options (see graphic). The earning will be clubbed with your income, but since these investment options are tax-free, it won't push up your tax liability. Your wife can then reinvest that money, and this time, the income will not be clubbed. There's another way to escape clubbing. Instead of gifting, give her a loan to buy property. Rental income from the property will be treated as her income as long as she pays you a nominal interest on the loan. As mentioned earlier, if a parent invests in a minor child's name, the income is clubbed with that of the parent who earns more. In some cases, a minor child may have a personal income, such as a cash prize in a competition or payments for commercials and events. However, this is rare and mostly it's the parent who invests on behalf of the child. There is a small Rs 1,500 exemption per child per year for the income earned by such investments. You can avail of this for a maximum of two children. This means, you can safely invest Rs 15,000 in a fixed deposit in your child's name. If you have two children, that's Rs 30,000 earning tax-free income every year. Opt for the annual payout option because the cumulative option will push up the earning beyond the tax-free limit in a couple of years as the compounding effect comes into play. Tax experts feel the Rs 1,500 exemption per child is too low and should be raised, but there are others who think this should be removed. A simpler tax structure will encourage greater compliance. The original DTC had proposed the removal of nearly all exemptions and deductions, but raised the basic exemption limit and tax slabs. Rebellious, obdurate, lackadaisical, wasteful ... parents have several adjectives for college-going children. Allow us to add 'tax-savers' to this list. You can save a neat sum by investing in the name of an adult child. After a person turns 18, he is treated as a separate individual for tax purposes. This means his earnings are no longer clubbed with his parent's income and he enjoys the same exemptions and deductions as any other adult taxpayer. "Gifting money to a child above 18 and then investing it for taxfree gains is a perfectly legal strategy. You can gift any amount to your child without any tax liability," says Kaushik of Taxspanner. You don't have to wait for the child to turn 18 before you embark on this strategy. The rule is that if an individual turns 18 anytime during a financial year (even on 31 March), he gets the benefit for the entire year. Even those with children aged 16-17 years can use this strategy. Just invest in a 500-700 day FMP. By the time the scheme matures, the child would have turned 18 and the income will be his own. A child over 18 also raises your investment limit in the PPF. You can separately invest up to Rs 1 lakh a year in his PPF account. In case of minors, contributions are clubbed with that of the parent and the combined total cannot exceed the annual limit of Rs 1 lakh. "This helps build a capital base for the child for future use," says Delhi-based chartered acountant Mahesh Agarwal. By investing in your child's name you also set up an escape route in case the government brings in the inheritance tax in the future. If the asset is already in the child's name, there won't be any tax. Gifting money to an adult child and investing in his name is tax-efficient but won't be a great idea if the child is financially irresponsible. A gift is irrevocable, and once given, there is no looking back. In your attempt to save 10-30% tax, you could lose 100% of the principal. Being a legal adult, an 18-year-old can also invest in stocks and mutual funds on his own. The short-term capital gains will be tax-free till the basic exemption of Rs 2 lakh a year. Your parents can also help you avoid the tax net. If any or both of your parents do not have a high income, while you are in the highest 30% tax slab, you can invest in their name to earn taxfree income. Every adult enjoys a basic tax exemption of Rs 2 lakh a year. For senior citizens (above 60 years), the basic exemption is higher at Rs 2.4 lakh a year. Unlike the investments made in the name of a spouse or a minor child, there is no clubbing of income in the case of parents. So, a person above 60 can potentially earn Rs 2.5 lakh per year without any tax implication. 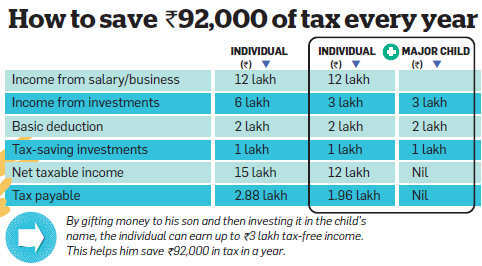 If he invests in taxsaving schemes under Section 80C, the income can be as much as Rs 3.5 lakh a year. 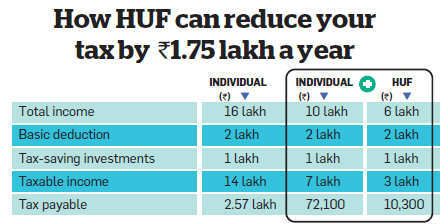 In the highest tax bracket, this saves you more than Rs 1 lakh in a year. It gets even better if you rope in a grandparent who is above 80. Very senior citizens have a basic exemption limit of Rs 5 lakh. The grey population has a wide range of investment options (see table). 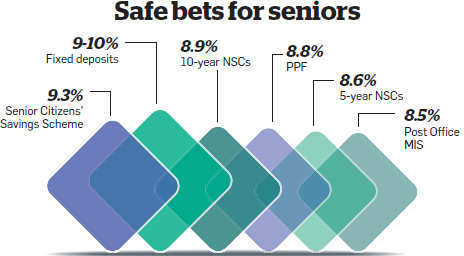 The Senior Citizens' Savings Scheme offers an attractive 9.5% return. All banks and financial institutions offer senior citizens higher interest rates on fixed deposits. If you are an aggressive investor, open a demat and stock trading account in your parents' name and dabble in stocks. If their total income is less than the basic exemption, the short-term capital gains will not attract any tax. A caveat—make yourself the sole nominee of the investments in your parents' name. This will ensure that there are no legal disputes with siblings. You need to take extra precautions when it comes to investing through your grandparents because there might be more legal heirs in the extended family. In many ways, a Ulip is like a smart phone. It's costly and many people have bought one, but only a few understand and use all its features. Most of us have Ulips in our portfolios and many of us have stopped paying the premium. If you are part of this crowd, you can use your Ulip to earn tax-free income effectively. Pay all the pending premiums at one go. However, the policy should not have lapsed due to non-payment of premium. "As long as the policy is within the stipulated reinstatement period, the policyholder has the flexibility to pay all the pending premiums at one go and revive the policy," says TR Ramachandran, CEO and managing director of Aviva India. Watch out for the charges payable on such premiums when you do so. In some Ulips, the charges are quite high. It won't help if you end up paying a premium allocation charge of 4-5% in your attempt to save tax. More importantly, don't invest the premium in equity funds. A bond fund is a better option at this juncture. Bond funds from leading insurance companies have given good returns in recent years (see graphic). The investors who don't have any pending premiums can use the top-up facility offered by Ulips. They can invest more than the annual premium in the Ulip. Some Ulips have a limit to how much you can invest this way. Others offer a proportionate risk cover as well, which could marginally pare the returns for the investor. Your top-up investment will have a lockin period of 3-5 years, after which it can be withdrawn. If the policy has a healthy corpus, you can withdraw even before that. "Withdrawals from a Ulip are tax-free if the stipulation of 10 times the insurance cover has been met," says Binay Agarwala, EVP and head of products, risk management & corporate strategy, ICICIBSE 0.94 % Prudential Life Insurance. A lot of taxpayers are clamouring for raising the Rs 2 lakh basic exemption limit and the Rs 1 lakh tax-saving limit in the forthcoming Budget. But very few know that they can double their exemption and savings limit simply by establishing a Hindu Undivided Family (HUF). The tax authorities treat the HUF as a separate entity. It is entitled to the same exemptions and deductions as any other individual taxpayer. This means the karta gets an additional basic tax exemption of Rs 2 lakh per year, an additional tax deduction under Sections 80C and 80D, plus the benefit of lower tax slabs. As our calculation shows, one can substantially reduce one's tax liability through this tax planning tool. Not everyone can avail of this benefit. This option is open only to a Hindu, Sikh, Jain or Buddhist male. Besides, he should be married. "A family comes into existence only when a person marries. So marriage is a prerequisite for forming an HUF," says chartered accountant Mahesh Agarwal. The HUF arrangement especially suits the taxpayers who also have income from ancestral property and expect to inherit financial assets. They will be able to divert the inheritance to the HUF, thus preventing their personal tax liability to shoot up. It may not be helpful for someone with low income. You may need the help of a professional to get you started. He might charge a fee, but it will be money well spent. A simple cost-benefit analysis will tell you that if spending Rs 8,000-10,000 can save you Rs 1-2 lakh in tax, it's not a bad deal. Remember not to take this route if you are not confident of compliance with the rules. As the karta of the HUF, you are responsible for its financial affairs. A lot of people find it tough to manage their own tax planning. Imagine what will happen if they are expected to do it for their HUF as well. But if you can, make use of this option to cut tax. ET Wealth spoke to tax experts and other professionals to identify seven such windows of opportunity to earn tax-free income. Some of these, such as distribution of income and investing through family members, are well known. Yet, there are intricacies that need to be kept in mind, such as the clubbing provisions when you invest in the name of your spouse or minor child. A word of caution. Not all of these strategies will work for all investors. Investing through your spouse will not be beneficial if she is in the same tax bracket as you. Gifting money to an adult child won't be a great idea if he is irresponsible with money. In some cases, indexation may not be the best option. If you sell gold ETFs bought five years ago, a 20% tax after indexation would be higher than a flat 10% tax on profit.